The area was well-represented at one of the most prestigious races in the world on Monday, as five runners from Southington participated in the Boston Marathon: Marc Lennon, Tessa Mah, Frank Angelillo, Marc Raby and Emma Dean. Lennon finished in 3:08:13 (4,008th overall, 3,625th male, 2,409 in 18-39 division), Angelillo finished with a time of 4:08:29 (18,282nd overall, 10,923rd for males, 1,403rd in 51-55 range) and Raby ran the marathon in 4:11:07 (18,707th overall, 11,100th male, 4,197th in 18-39 division). Mah ran the race in 3:11:49 (4,707th overall, 525th in female division, 448th in 18-39 range) and Dean finished in 4:37:05 (22,214th overall, 9,553rd female, 249th in 60-64 division). 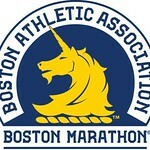 In total, there were 316 runners from Connecticut who ran in the marathon. Six placed in the top 500 overall, with Tyler Lyon from West Hartford as the top finisher from the Nutmeg State. He finished 80th overall with a time of 2:28:33. Posted in The Bristol Press, Southington on Monday, 15 April 2019 20:29. Updated: Monday, 15 April 2019 20:31.